Dec 1st - Members of Africa Uncovered, Muslim Student Association, and Young Black Scholars led a panel discussion:"Bridging the Gap: A Conversation on the Black Diaspora in America." 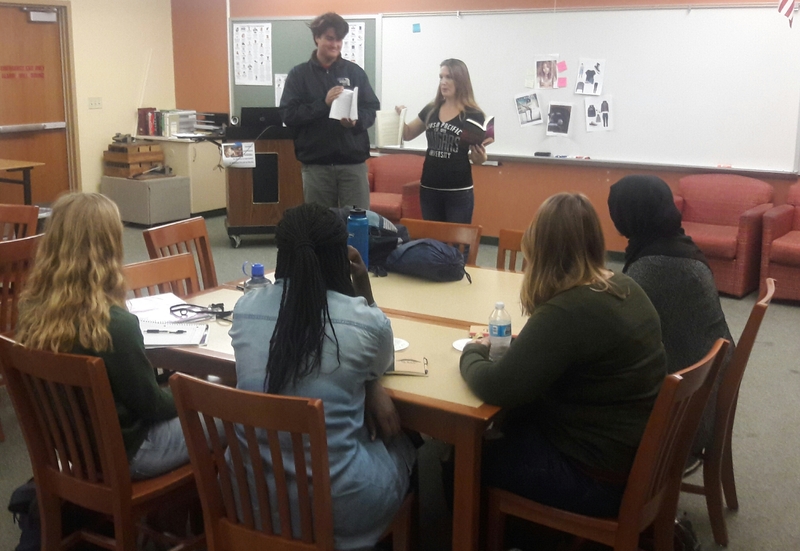 Sept 14th - ASL teacher Kayla Bulster, who's just published her second fiction book, Sunrise Underground, led a creative writing workshop during Tutorial time. During the workshop, which was open to all interested students, Ms. Bulster shared her secrets for creating strong characters, and also spoke about the process of writing and publishing. 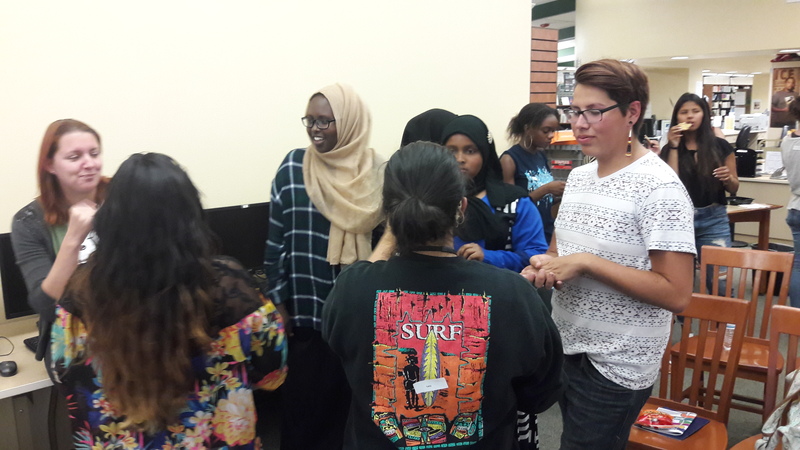 On October 20th, Helix Aspire and "One Book, One Helix" sponsored an after-school panel discussion examining cultural stereotypes. 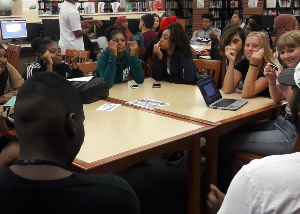 11th grade counselor Hugo Gonzalez led students from Africa Uncovered, Deaf Helix Highlanders, MeCHa, Muslim Club, Natives Club, and Young Black Scholars in activities and conversation about commonly-held stereotypes and ways to dispel them. On Sept. 21st, Helix grad Nate Howard, founder of Movement BE, returned to campus to lead several student workshops. Approximately 200 students came to before- and after-school workshops to hear Nate speak and to share their own stories via the Movement BE app. To learn more about Movement BE, visit www.movementbe.org.